Beth Shader, Edie Chortkoff and Michael Shader. Photo courtesy of Milt & Edie’s. For the past 30 years, Milt & Edie’s Drycleaners & Tailoring Center has provided an inspirational welcome to the neighborhood. Its iconic monument sign delivers everything from poignant adages (“Forgiveness does not change the past but it does reshape your future”) to cheeky sayings (“Stop trying to make everyone happy you are not tequila”) that make people think or chuckle as they head toward Riverside Drive. This tradition is one of the ways co-owner Beth Shader keeps the legacy of her father and company founder, the late Milt Chortkoff, alive. The sayings were his way of inviting the community into his business, which was far from a typical dry cleaner. When people walked through the doors of the building, they were greeted by friendly staff and the smell of freshly popped popcorn and hot dogs wafting through the air. Milt was all about making the customer feel at home by providing exceptional customer service, something he perfected after more than 70 years of experience in the industry. Milt’s decades-long career began at age 10, helping his father with deliveries in Brooklyn. When his family moved to California in 1946, his father bought Hollyway Cleaners, and Milt, at 17, began driving the delivery van around Echo Park and Silver Lake while attending Los Angeles City College. He helped grow the business until his retirement. 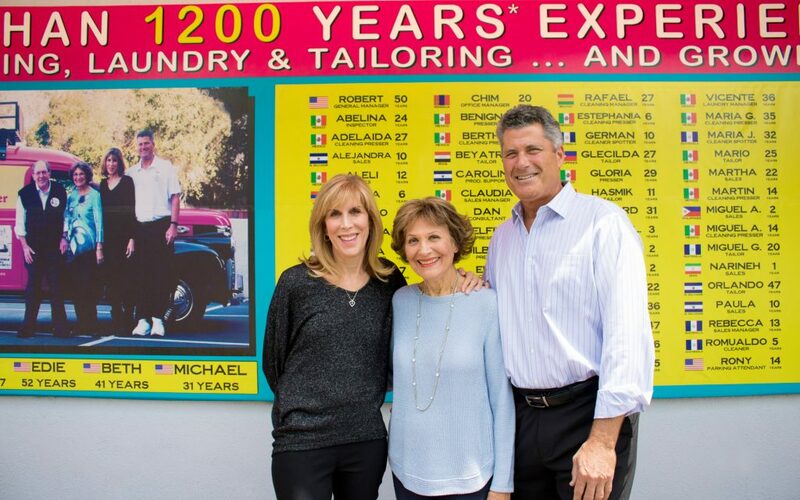 After Milt’s passing in December 2017, Beth and her husband, Michael, picked up where he left off, continuing to uphold his philosophy: “All of our customers leave happy … always!” That means delivering what no other dry cleaner in the area can: two-hour cleaning, two-hour shirt laundry and instant alterations 24 hours a day, seven days a week, 365 days a year (366 in leap years). “[We provide] the ultimate convenience for customers because we’re here whenever they need us,” Beth says. This quick turnaround service, made possible by the more than 90 employees working on site, means the neighboring film studios often turn to Milt & Edie’s for special wardrobe needs and large-volume production at all hours. Milt & Edie’s has consistently supported local schools, charities and more. They recently teamed up with Hope of the Valley to provide clothes for the homeless population of the San Fernando Valley by offering discounts to customers who donated garments to the organization. In turn, the community has shown its support to them when they needed it most. When Milt passed, people offered their condolences, prayers and well wishes to the family. The support and appreciation they have received has been amazing, Beth says. 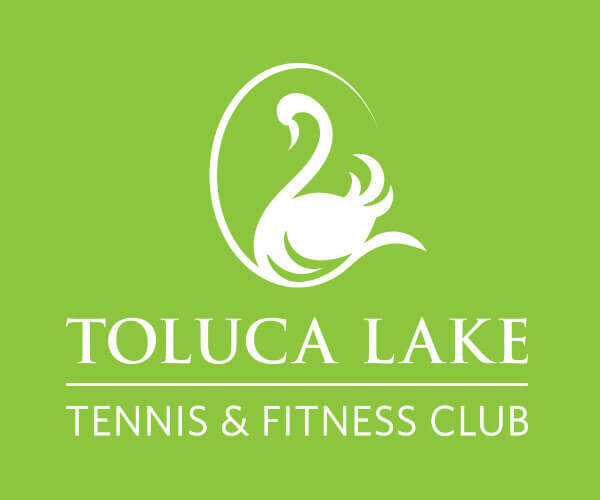 Having grown up in Toluca Lake, Beth knows the neighborly atmosphere of the community firsthand. “The charming places that we frequented are still around and [it’s like] we’ve all grown up together,” she says. The Shaders love Priscilla’s Coffee, which first opened its doors around the same time as Milt & Edie’s. They also enjoy walking along the tree-lined residential streets, having dinners at Prosecco and dropping by Patys for Sunday breakfasts.